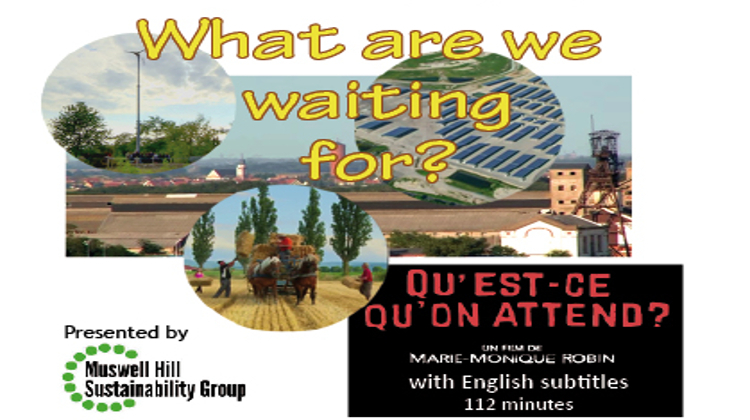 MHSG presents ‘Qu’est-ce qu’on attend?’ (‘What are we waiting for?’) . The star of this film is Ungersheim, an agricultural and former mining village in the Alsace in north-eastern France. It’s home to a remarkable Mayor, some extraordinary people doing extraordinary things, and to an experiment in what Transition to a low carbon economy can achieve, one that is increasingly attracting attention from around the world. Since 2009 the local council has led an ambitious move away from fossil fuels and industrial farming towards an economy based on renewable energy, energy efficiency, and local chemical-free food production through small locally-based enterprises. A large solar farm, with industrial units for small businesses beneath, as been developed on old slag heaps. A local currency – the Radish – is in circulation. School meals come from local organic sources. In ‘What are we waiting for?’, councillors, farmers, builders and traders show what has been achieved, and talk about how it has been done.